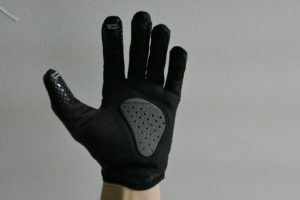 Lets take a look at the Specialized Grail Long Finger Gloves. I snap bought a pair of Specialized Grail Long Finger Gloves the other day and wanted to share my thoughts. I don’t know much about gloves but these seemed to be pack with features. The gel pad is designed to create a better contact patch with your bars therefore increasing grip and control levels. 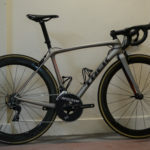 This makes for a surprisingly comfortable grip on my CX bike. I do in fact feel more control and less road/track vibration than usual. The material and cut of the gloves both make for a good fit. 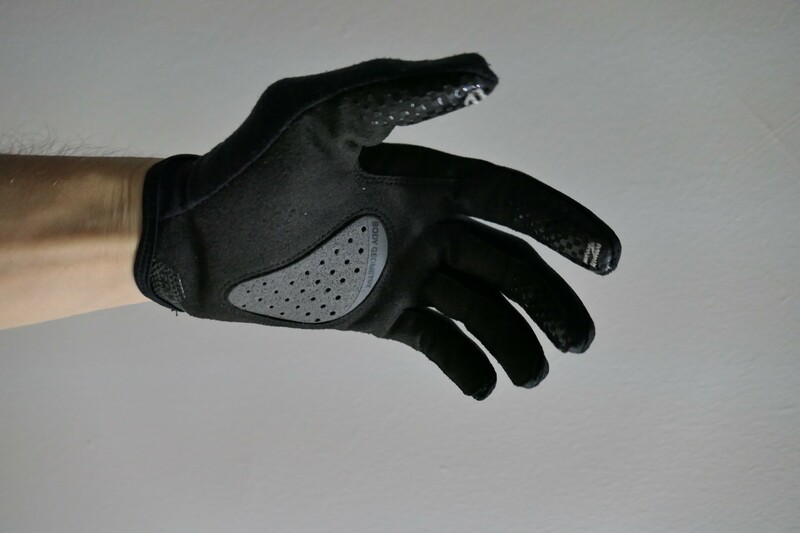 The mesh on the back of the palm keeps the gloves feeling light and nimble while providing a good close fit. Most of my experience with gloves stems from the snow where the goto is “park gloves” because of their small, light construction, in comparison these felt invisible. 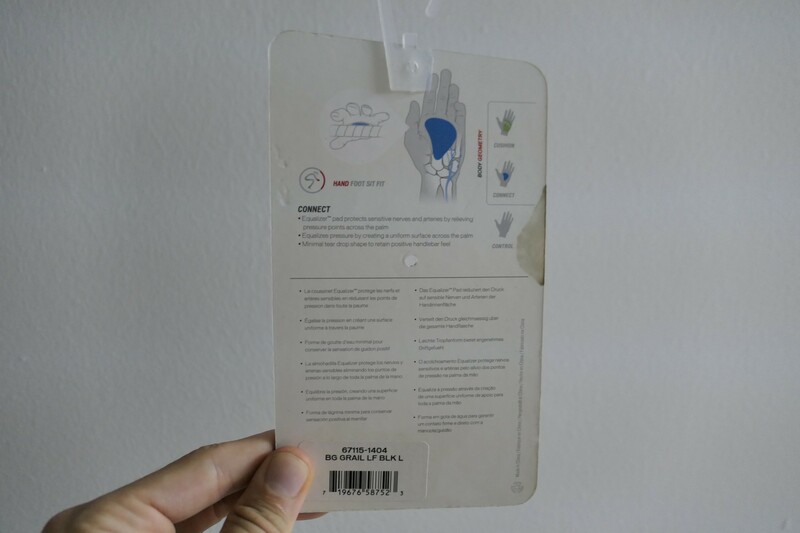 The Microwipe™ thumb brush worked well at clearing rain and sweat from my face and eyes. 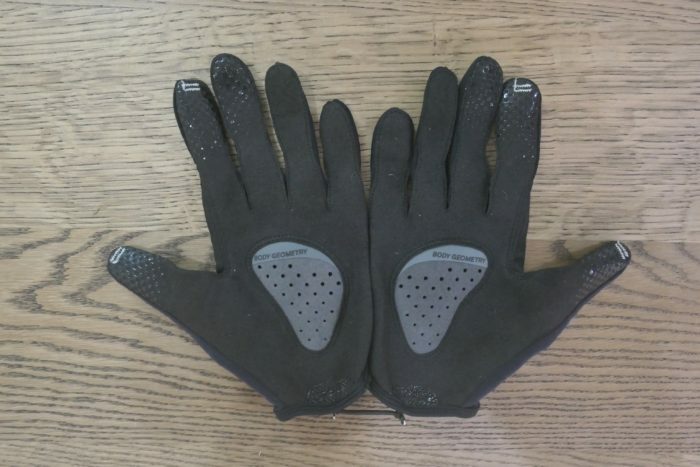 I was riding these gloves in tropical rain when, really, I probably should have been trying to find some shelter. Even in soaking wet conditions the thumb pad worked well and stayed soft to the touch while cleaning my eyes and face of rain, dirt and sweat. The Wiretap™ fingers are a nice feature and in dry conditions work well. There is a bit of a sweet spot to get the wiretap pad to make contact with the screen. 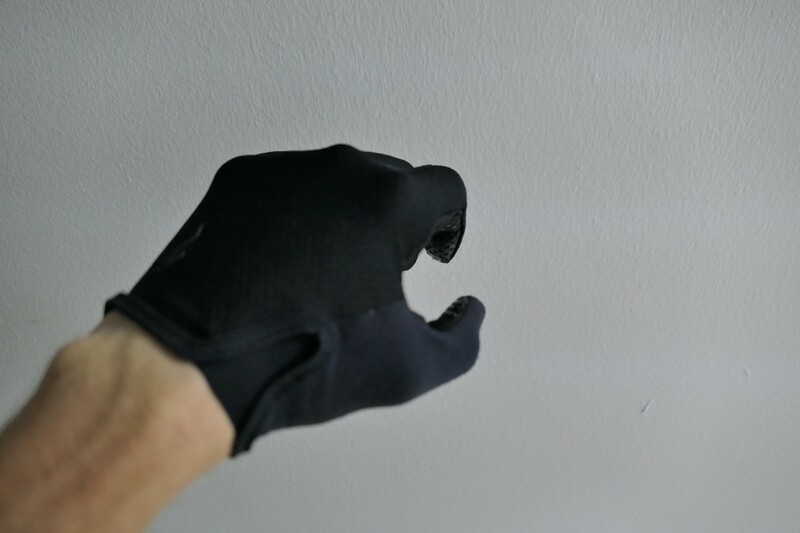 It can be fiddly but the fingers work well enough to not get super frustrated with using a phone with the gloves on. The lightweight construction means I have confidence while holding my phone. I didn’t have that sense of separation from my hand where I wanted to baby my phone in fear of dropping it. After riding these gloves for another couple of hours and then switching back to finger less road gloves for one ride, I’ve really come to appreciate how comfortable these are. 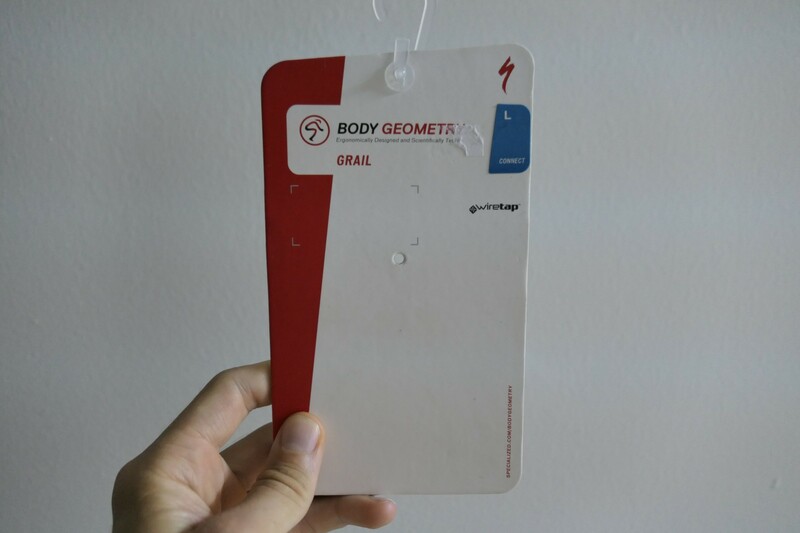 The Body Geometry Equalizer™ pad really does make for a comfortable fit. The close fit and smartly placed seams also give no rubbing or discomfort. The clever design means there are no edges and extra pads to rest on when in the drops or on the hoods. The Wiretap™ feature works sensationally well. In fact I didn’t have to take the gloves off at all for a whole ride. From when I left my house, to when I returned nearly 4 hours later. 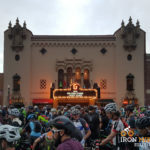 I wrote text messages, stopped to refill bottles and ate during the ride, all without concern. Usually I remove my finger less gloves at stops as they are bulky and tasks are cumbersome with them on. 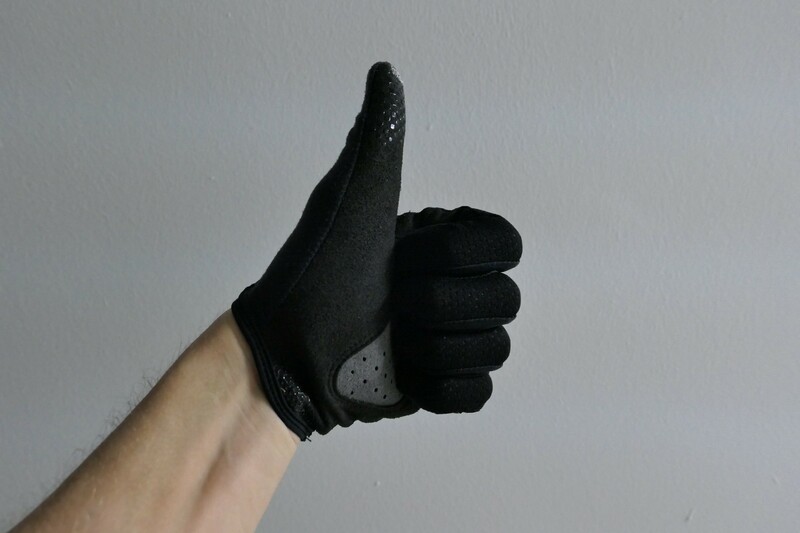 Having only ridden a couple of pairs of finger-less gloves before and given them no thought at all I was surprised at the comfort of these gloves. 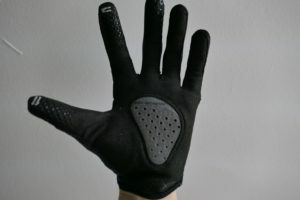 The gel pad does a great job of connecting the emptiness of your palm to your bars, and genuinely I feel more connected to my bike while riding with these gloves. This is important while riding off road and I feel more confident rolling into unknown territory while in the drops or on the hoods. The style and comfort rate highly in my opinion. The thin mesh backing and the lightweight construction make for a nearly invisible fit. The cut of material and sewing are both done with precision and there are no tags or threads along the seams. There are no extra pressure points or unwanted materials patches gathering. The Microwipe™ and Wiretap™ are both nice features to have, for me however they are not deal makers or deal breakers. If you are in the market for a set of off-road gloves I would recommend to buy these. 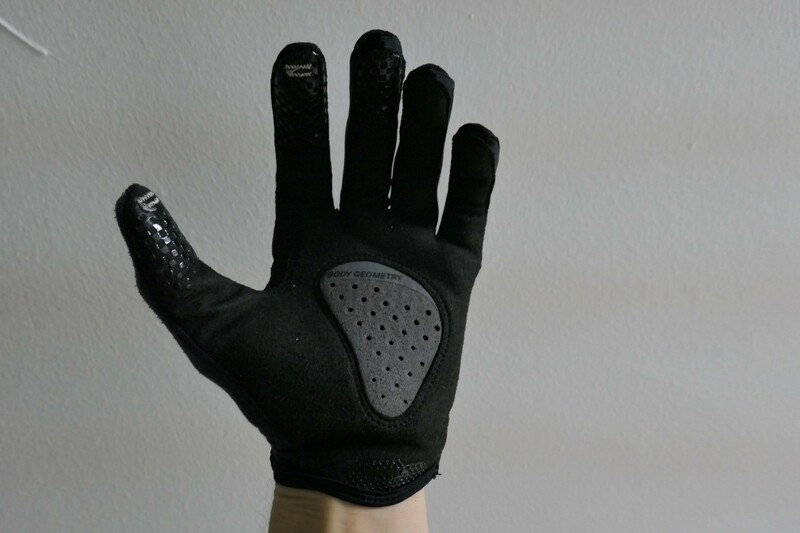 If you prefer finger-less Specialized also make the same gloves in a finger-less model. Why only 4 and a half stars? Well, the price tag of these bag boys will probably make you think twice about buying them. Having said that, I would buy them again.